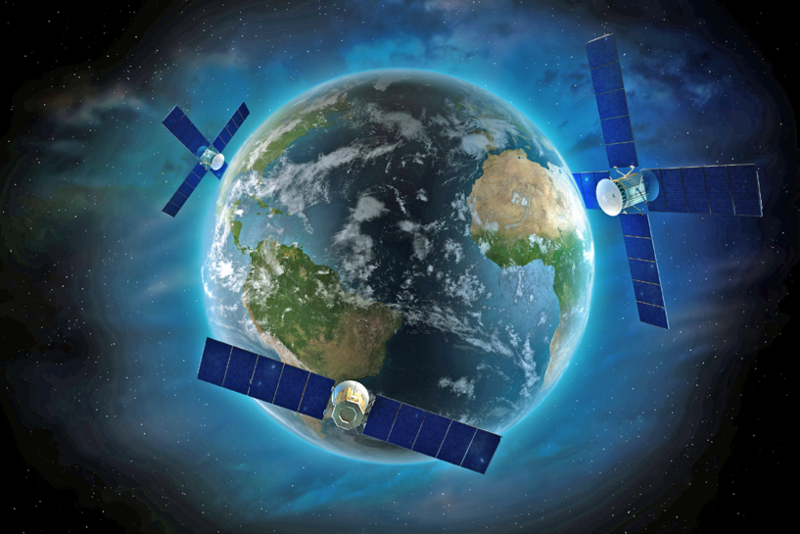 This past year has been a tough 12 months for the world’s mainstream satellite operators. Revenues have been under pressure, transponder lease rentals are— at best—flat and the cost per gigabit of throughput has been firmly trending downwards. 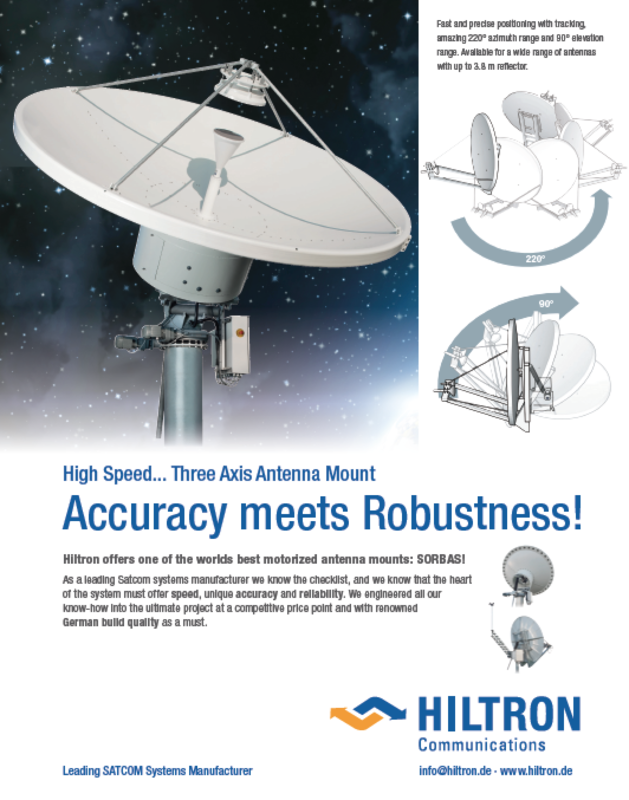 This lower cost-per-gig is sometimes good news for players such as Intelsat with its new ‘Epic’ series of High Throughput Satellites (HTS); however, when these lower costs apply directly across the industry and where bandwidth isn’t designed for HTS usage, then the news is bad. Worse, perhaps, the past three years have seen considerable downward pressures from the US government, initially under the military “sequestration” of funding and curbing of bandwidth usage. Sequestration severely impacted the “headwinds” talked about by just about every major satellite operator throughout 2015 and 2016. Based on 2013 obligations, the 2014 sequestration cuts represented some 8 percent of reductions (about $43 billion). 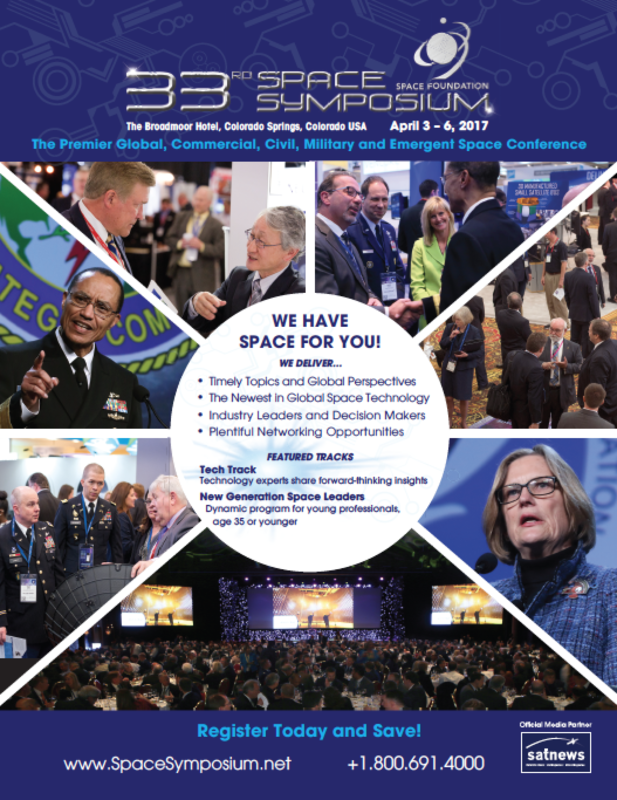 The USA’s Department of Defense (DoD) recognizes the role that commercial satellites can—and are—playing in supplying bandwidth to the military, and while there are obvious uncertainties over the new Trump administration and whether or not his tenure will lead to changes, the overall view is that the DoD understands the agency must work in harmony with commercial operators. There are increasing signs that the “bottom,” in terms of cut-backs, has now truly flattend out. 2016 was better than 2015, and a ton better than 2015 in terms of forward bookings. In fact, there are some signs that 2017 to 2018 might see a tangible boost to the DoD’s spending. The industry can only hope such is truly the case. One recent report (from investment bank Berenberg) talked of “Government-revenues stabilizing, even growing” and such projections are endorsed by further buoyant forecasts from SES and Intelsat. These endorsements indicate that the bottom of the government trough has been reached and that this sector is now on a gentle, upward trajectory. Certainly, deep examinations by the industry’s financial analysts are significantly more positive about prospects for 2017. For example, investment bank Jefferies described 2017 as a period of “rehabilitation” for satellite operators. Moreover, Eutelsat’s May statement was accompanied by a few worrying asset sales as well as a troubling dispute between the company and Abertis-backed Hispasat, which seemed to have spooked the market. Indeed, Eutelsat’s share price remains firmly in the doldrums, down some 40 percent on the pre-May 2016 position. There are some worries in Eutelsat’s ‘Video’ segment, not the least of which is how the operator handles third-party wholesalers of their bandwidth. Undoubtedly, there is some downward pressure on some of Eutelsat’s video ‘hot spots’, with little in the way of positive price improvements. Management see this taking a year or two to work itself out. However, there are plenty of other strong signals that recovery is in the air, and not just helped by growth in ‘Data’, and extending beyond Eutelsat. Staying with Eutelsat just for a moment, the fact is that HDTV transmission remains barely 15 percent of Eutelsat’s video business—and this percentage has to grow over the next few years, while Ultra-HD (UHD) can only improve overall revenues. Indeed, for SES the UHD picture is getting rosier by the month. As this column is being written, the operator is carrying more than 20 channels into Europe and North America (the position one year earlier was a single channel). That number will grow. SES is carrying 2434 HDTV channels (up 6 percent y-o-y, and 33 percent of the total) which—if nothing else—reveals a target for Eutelsat and other operators, as well as indicating how annual growth in HD and UHD might evolve directly across the board. Paris-based Euroconsult expects the global number of UHD channels to grow to almost 800 by 2025 and that number could even be more, according to some forecasts. SES also acquired a major global play-out operator (RR Media, headquartered in Israel) and bundled that purchase into the existing SES Platform Services operation to create the merged MX1 division—that move ensures growth in content handling as well as a feeder for the firm’s satellite capacity. SES has the considerable asset of O3b now firmly in the firm’s portfolio and SES has used their financial muscle to rework O3b’s borrowing and to commit to O3b’s expansion. Other than the Boy Scouts, 11 commercial operations made applications to launch new satellite constellations to the FCC on November 15. SpaceX and that firm’s plan for as many as 4425 satellites made headlines around the world. However, Elon Musk’s group was far from alone in this regard—Telesat of Canada formally proposed 117 craft, and two pre-production craft will launch next year to secure that firm’s frequencies for the larger system. Other well-established operators include O3b (now part of SES), which wants to extend their current system with 16 new inclined orbit (called O3bI) satellites that will be additional to the firm’s approved 24 equatorial MEO satellites. The O3b submission adds transmission frequencies as well as fresh orbital planes, with the end result being full Earth coverage (and not just the 63 degrees North to 63 degrees South current services). Satellite builder Boeing is applying for a 60 satellite, Ka-band constellation in three, clever, highly inclined Geo+ orbits (ranging from 27,355-44,221 kms), which will serve the Americas, Asia and the whole of Europe and Africa. ViaSat has applied for permission to launch 24 Medium Earth Orbiters at 8200 kms with MEO to GEO links. Perhaps not coincidentally, ViaSat is also looking to raise an extra $500 million via an issue of fresh equity. The company wants to expand their current portfolio of three conventional GEO craft with two-dozen MEOs that will echo the SES/O3b relationship of GEO and MEO orbiters. ViaSat’s new birds would use a mix of Ka- and V-band frequencies, and the company says they will guarantee zero interference with any terrestrial transmissions. Kepler Communications of Canada wants as many as 140 small LEO satellites to serve the growing Internet of Things (IoT) market. Karousel, a new entity backed by Columbia Capital and Telecom Ventures, wants a 12 satellite system in a highly elliptical Geostationary orbit. Audicy Corp is seeking permission to launch a three satellite MEO system. Theia Holdings wants a 112 fleet of craft for Earth Oobservation (EO) and communications at 800 km. Not all of these plans will launch. However, inevitably some will, especially those companies with deep pockets and who are able to muscle through the set-backs that are guaranteed to interdict the plans of any new proposal. Indeed, some of the proposed constellations will provide real competition to existing players. Top of this list has to be ViaSat’s rival system to that of O3b. Market analysts reckon that ViaSat’s proposals could mean much tougher competition to O3b in the medium to long-term. ViaSat could be in business within six years of receiving their license. SpaceX is also presenting a robust concept, telling the FCC that their system is designed to provide a wide range of broadband and communications services for residential, commercial, institutional, government and professional users worldwide. “With deployment of the first 800 satellites, SpaceX will be able to provide widespread US and international coverage for broadband services. Once fully optimized through the Final Deployment, the system will be able to provide high bandwidth (up to 1 Gbps per user), low latency broadband services for consumers and businesses in the U.S. and globally,” the company said. As mentioned, not all of these plans will make become reality; however, O3b will no doubt maximise their ‘first mover advantage’ to cement business prospects before the OneWeb, ViaSat and other constellations muscle into their unique territories. Nevertheless, the market is increasingly positive about the prospects for the global fixed-satellite services industry, particularly as such relates to the video broadcast business. The ongoing shift to HD in emerging markets, and to Ultra HD in mature territories, is likely to continue to drive demand for capacity at premium orbital positions. SES and Eutelsat are well positioned to benefit from this trend. Maritime and aeronautical traffic and communications are two other growth sectors, despite being highly competitive. Euroconsult is forecasting a 5 percent CAGR for maritime expansion over the 2015 to 2025 period. Aeronautical—and in particular, In Flight Entertainment (IFE) and connectivity—is another segment that is forecast to enjoy strong growth prospects during 2017. In other words, roll on 2017 and 2018—ahead is a stronger and healthier period for this dynamic industry. 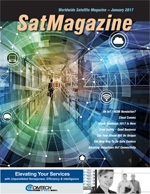 SatMagazine and MilsatMagazine Senior Contributor Chris Forrester is a well-known broadcast journalist and industry consultant. He reports on all aspects of broadcasting with special emphasis on content, the business of television and emerging applications. He founded Rapid TV News and has edited Interspace and its successor, Inside Satellite TV since 1996. He also files for Advanced-Television.com. In November of 1998, Chris was appointed an Associate (professor) of the prestigious Adham Center for Television Journalism, part of the American University in Cairo (AUC), in recognition of his extensive coverage of the Arab media market.